I love February because it begins to turn my thoughts away from the stark landscape of white snow and blue skies, not to mention the dull neutral days of gray and brown. 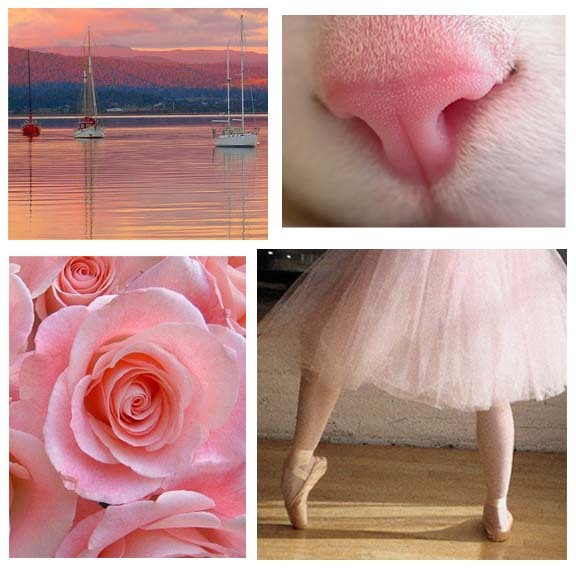 My inspirations begin to show the first signs of spring as they start to blush with soft pink. 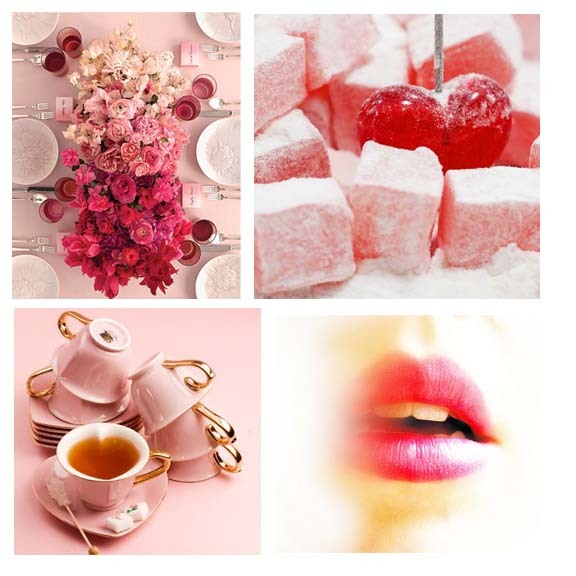 Valentine sweets, the soft clink of delicate teacups, graceful pirouettes, and the scent of fresh blooms all reflect the emotional power of this gorgeous color. 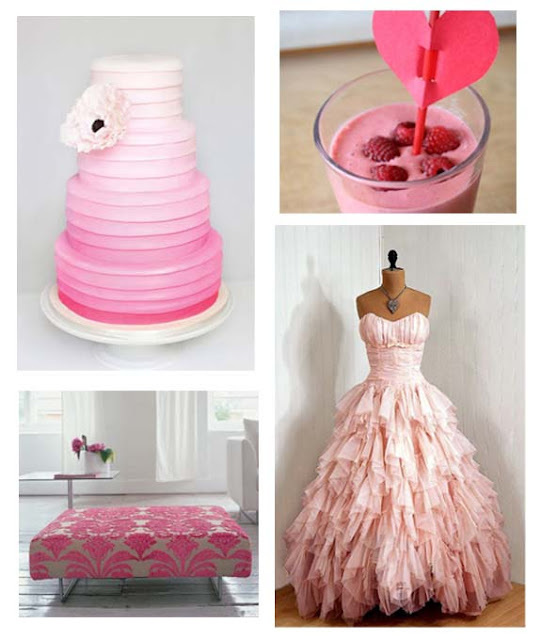 How does pink inspire you? Love the animal nose mixed in. :) And what an amazing dress! I like the cat? nose too! What a beautiful post! You've found some amazingly inspiring images, I love the pink lips and the cake is stunning. OMG that dress!!! What a delicious color palette!